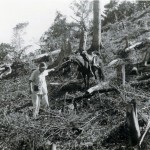 Due to illnesses and conditions requiring medical attention, medical services were made a priority in Sosúa from day one. Malaria, gastrointestinal problems and the delivery of babies required prompt services. 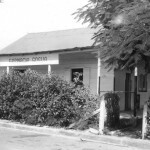 The hospital was established in a house left by the United Fruit Company on Alejo Martinez street near the DORSA offices. The hospital was initially staffed by several settlers with medical and nursing degrees from European universities. 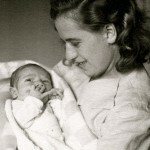 These included Dr. Broch, Dr. Klinger, Dr. Kohn, nurse Martha Mondschein-Bauer, and others. The first Dominican doctor to work at the hospital was Dr. Kunhard. The hospital had separate wards for men and women, a laboratory, delivery room, maternity room, pharmacy, kitchen, and office. The dental clinic was housed behind the hospital in a separate house. Medications were first sold at the hospital and later in a small house located close to Colmado Sosúa. 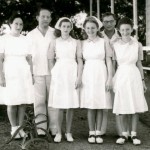 In the 1940s the hospital was supported by DORSA, which provided free care to the settlers, residents of Charamicos, and also to Dominican workers. 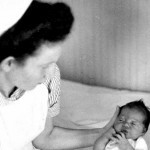 By the 1950s medical services had become fee oriented. 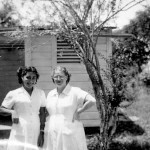 An adjunct to the hospital was the pension/convalescent home in Jarabacoa, run by the Bandler family and subsidized by DORSA. Sosúa’s malaria patients spent time convalescing at this location in the mountains before returning to town. 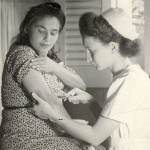 Periodic vaccinations were an integral part of the services offered by the hospital as well as the mosquito control. Other services offered were tonsil surgeries performed by surgeons hired by DORSA. Most of the children of that day had their tonsils extracted just to prevent strep infections. The Dental Clinic was located next to the hospital and almost underneath a huge “Almendra” tree. It was a small trailer building. The first dentist in Sosúa was Dr. Robitschek, who served as Sosúa’s dentist for only a few years. After a divorce, she left for the US. Israel (Erving) Haber practiced dentistry for a few years. Afterward a couple of Dentist worked at the praxis. 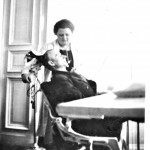 The position remained vacant for a while until Dr. Hildegard Schwarz, a dentist who graduated in Bonn, Germany, took over in the early 1950s. 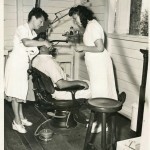 Dental health care was provided to the settler community as well as for the Dominicans who needed dental work. The dental clinic was open only a few years. Dr. Schwarz was required to obtain an exequatur from the Dominican government. At the time it was a high cost impact that she couldn’t afford. The clinic was closed and dismantled. The sale of medical drugs was an integral part of the services offered by the hospital in the 1940s. Several years after the cooperatives started operations, the pharmacy started selling medications in its own building. Often the drugs the settlers required were unobtainable at the Sosúa Pharmacy. 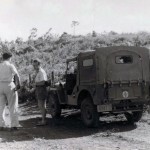 That required the settlers to go to a pharmacy located in Los Charamicos or travel to Puerto Plata or Santiago to get the much-needed medications. I wish to correct an omission about the Dental Clinic. 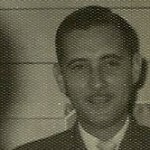 My father, Israel (Erving) Haber served as the community’s dentist while we lived in Sosua, from 1945 until1951. 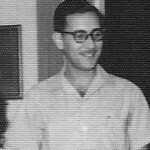 He had been a dentist in Poland prior to the War, was drafted into the Soviet Army and served as a dentist and officer during the War, and, after settling in Sosua with his wife Henya (Helen), daughter Yula (Julia) and mother-in-law Gittel, all of whom had miraculously survived the horrors of the Shoah, he continued to practice his profession. 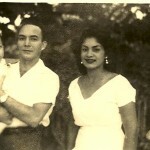 He was also a school teacher at the Escuela, as well as the proprietor of our Finca. 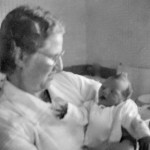 I will try to provide more biographical details of our family as soon as possible and post them on the Settlers page.